“I wanted independent control and less bureaucracy and politics,” said one independent broker about the decision to remain unaffiliated. “We have the freedom to build our own culture and the ability to be organic and go with the flow,” said another. While franchisors often tout their prowess in providing technology, training and leads, indie brokers say they’re doing quite nicely in those departments. Of the 777 brokers and real estate professionals surveyed, 55 percent (426) were independent brokers, and 20 percent (152) were brokers affiliated with franchise brands. The remaining 25 percent (189) of survey respondents were nonbroker real estate professionals. 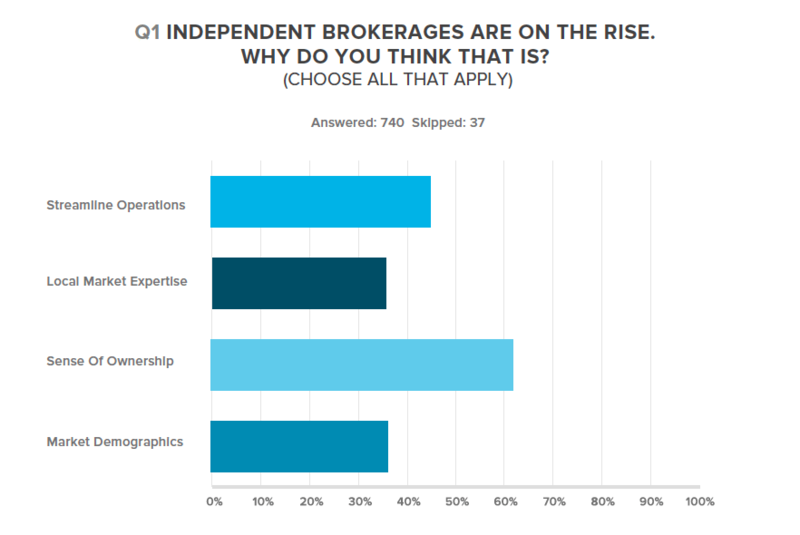 Nearly half of all those surveyed said technology that allows companies to streamline operations at a smaller scale is part of the reason for the resurgence of the indie brokerage model. Read the rest of our complete special report, “The shift toward independent brokerages,” exclusively for Inman Select members.